I’ve been so embarrassed to ask for prayer lately because sometimes it feels like my life is just a never-ending drama. With all the seizures, OCD, depression, PTSD, new symptoms, other health illnesses we’re still trying to diagnose, and then the most recent OCD worsening, a new stomach issue, and over a week long lingering migraine thats the result of a head injury: it just feels like it should be the end of the ‘hard stuff.’ That there shouldn’t be more and if there is, it’s somehow my fault. I have this little voice inside of me that tells me I’ve used up my entire allotment of sympathy and prayers; that life should be easy and painless and perfectly put together now because I’ve maxed out my quota for pain and people are tired of hearing about it already. I need prayers in this season because my heart is breaking in a new kind of way that I didn’t know was possible. Who knew there were more ways for it to break? And I cringe asking for prayers, because I wish more than anyone that it was all put together already and I didn’t need them. But I do. So can you please pray for me? Again? As I wrote in my journal God so tenderly seemed to respond in my soul, “Who put a limit on mercy, Summer? Was it me? Did I say you were out of turns for compassion, grace and love? Who told you that you were a burden and that people were weary of walking alongside you? Who am I to limit how many times I can be on the receiving end of mercy and grace and forgiveness and prayers? Should I receive the tenderj and fierce prayers of my community only seven times? Or seventy times seven? The most common greeting-so common that it just springs out of peoples mouthes without them even thinking. Although, most people feel genuinely interested in the other persons life when asking the question. People aren’t built to expect bad things or bad days, so when asking ‘how are you’ they are usually just ready to hear all the good and wonderful things that have been happening in that persons life. Unfortunately, not everyones lives are all sunshine and daisies. That leaves pressure for those of us who have been struggling. We feel we need to respond with positive answers-regardless of how we are actually feeling. We feel we we need to pretend everything is going how we hoped it would be. Why do we do this? It’s so fake and routine! At church I often I find myself frantic for the ‘right‘ answers when asked, “How are you?” For simplicity sake and so I didn’t need to break out into a big honest spiel, I reply, “Good!” or “Alright!” And to my close friends, whom I fear may see right through me, I shrug my shoulders and make ‘that distressed face.’ That’s when you know things are very bad. Really, I’m fine…except for I am totally not. I’m completely falling apart inside. My mind is a raging hurricane! My thoughts are a disgusting junkyard full of twisted metal! I am beyond upset and disappointed in myself for slipping so far from where I was just a few short weeks ago. It scares me that all it takes is one wee trigger to set my mind off, to shake me to my core and to completely disrupt my life. But then, I’m also upset at myself for being upset with myself (totally makes sense, right?) because this is not my fault. Again, I remind myself that recovery comes with setbacks, and no matter how hard you try, you can’t escape them. “This is just a setback. This is just a setback. This is just a setback. Imagine being so consumed by something that you literally could not think of anything else until you felt certain of the outcome you needed…so caught up in the thoughts and worries that you could not go to work, concentrate in conversations, do simple math (like counting out money), or perhaps even stand to be around people because your brain is essentially on overdrive. The result: a heavy, crushing, debilitating, long-lasting, wave of anxiety. It was so much that I tried to end my life…again. It pains me to say that. I so badly want to keep it a secret because I am so ashamed of myself. Ashamed that I didn’t tell anybody. Ashamed that thoughts that appear SO trivial could drive me to such extremes. This is the harsh reality of mental illness. It brings people to the place they said they would never go. That dark, scary, place. The place I thought I was so far from. It sneaks up on you when you least expect it and it changes your thinking. You think no one really cares. You think death is the only option. You think this is the safest way. For me, the distress comes from harm OCD. My mind races 123876562431078465 miles a minute. I’m scared of my mind. I’m scared about these intrusive thoughts. I’m (irrationally) scared for my loved ones, and even strangers’, safety. Even though I know I would never act on these thoughts. Ever. I’m so scared of acting on the thoughts though. I’m terrified that there is half an ounce of longing to the thoughts; as if that part of me wants and enjoys the thoughts. They feel so real. My greatest fear is people around me getting physically hurt-especially the people I love the most…and what if that came from me…what if I was the one that hurt them!? I couldn’t live with that happening, so I do everything in my power to prevent it. That is why this week, I thought the only way to keep other people safe (from myself) was to hurt myself. It doesn’t make sense and it’s not true but that’s what I thought. It’s what my OCD made me believe was true. What I did not think about was ANYTHING else. Not about other people, my dog, my dreams, Gods plan/timing… I could only think about all the horrible things that I could do. I didn’t think of anything real; just what I felt was real. It is a miracle that I escaped unharmed…I mean NO liver damage when my liver should be in liver failure. If that’s not a divine sign from God that He is not finished with you yet, I don’t know what is! I’m fighting my brain constantly (literally constantly). I was drained from this never-ending battle. NO!! 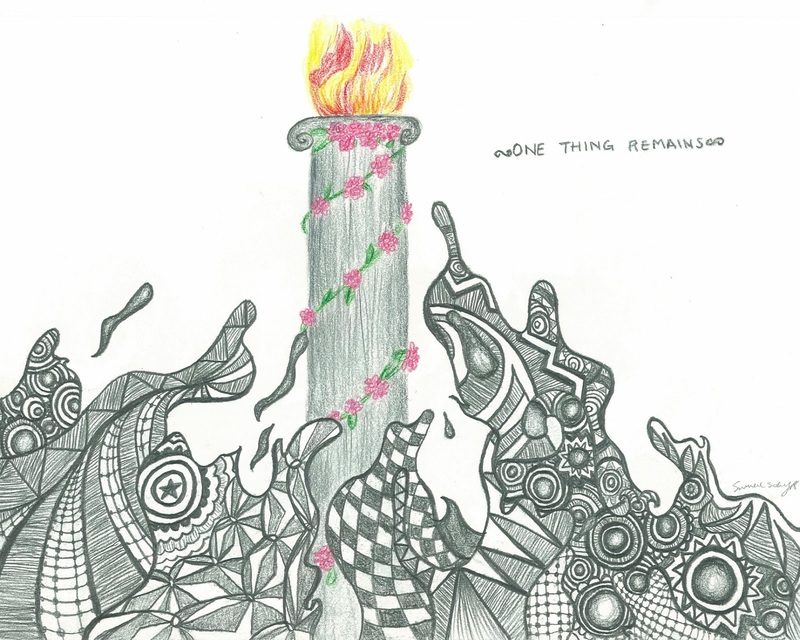 Its so ridiculously hard to let go of revolting thoughts and images that literally make me vomit at times. My coping strategies that helped me out of this mess before seem completely useless right now. Regardless, I will continue to do everything I can to manage until something changes. Have you had a nice morning so far? Recall and ask about the little things in their life. It means the world to people when you ask about the little details of their life. Just simply tell them that you have been thinking or praying for them. There is something fantastic about the feeling of someone thinking about you. You feel cared for, loved on, and not forgotten. Or hit them with a compliment instead of a vague question! Don’t you look extra lovely today! Or, the best thing people can do for me when they know I’ve been struggling is say, “Hey, can I pray for you right now?” BEFORE you leave me and I’m left wondering if any people care enough to go home and actually pray for me. Don’t assume that because I look well, I am doing well. There is a very real battle going on inside my head that no one else sees. I am super excited to introduce you to my NEW WEBSITE!! I have moved all the blogposts from http://www.lifewithschyff.blogspot.com to this new domain webpage (www.lifewithschyff.com). All the content is the same but everything will be posted here now! You can sign up to ‘subscribe‘ to my blog! Every time I post an update it will be sent directly to your inbox! I will be starting ‘Music Mondays‘ where I make a post about a song that I think is inspiring, has a great meaning, or has a great story. That will happen every Monday! I will have a ‘Life With Summer & Zoë‘ page where I will occasionally post highlights of our life and some of the fun things we have been up to! I also have a page called ‘Inspire.’ The idea of this page is for people to leave messages of encouragement for other people who may be struggling in some way or another. You can leave short inspirational messages, scripture verses, coping strategies, short stories that offer hope or even funny quotes or jokes to just make people smile. I will still post on my social media’s when I post a new blog (as I was doing before) but if you subscribe/follow my blog you can be sure to never miss one!! Also, the website is not in its FINAL layout/template right now, so I do apologize in advance for a few changes that may come in the next few months, but hopefully nothing major! Thank you to all the faithful readers who have made this website a possibility! Stay tuned for a blogpost tomorrow! The lives of people with mental health conditions are often plagued by stigma as well as discrimination. People with mental health conditions are often depicted as dangerous, violent, unpredictable, manipulative, fakers, dramatic, or exaggerated. This stigma is a reality for many people living with a mental illness, and it’s one of their greatest barriers to living a complete and satisfying life. This week, this very stigma prevented me from getting proper medical care. I went to see a specialist who I had been waiting a VERY long time to see. Her resident came to talk to me first then he went to talk to the Dr privately. She came in and told me that the only possible reasons my thyroid levels could fluctuating is because I’m either not taking my medication regularly or its not being absorbed properly (but she’s “pretty confident that that’s not the issue”). I TAKE MY MEDICATION EVERYDAY-WITHOUT FAIL!! Seriously!? You’re saying that you think we are COMPLETELY incapable of putting my meds in the pill container?? And WHY would I purposely take the incorrect dose!? I KNOW how sick I feel when my levels are off! And if we’re not doing it properly then why are the rest of my meds dispensed, absorbed, and working right?? If this is all a mental health problem, why am I doing so well mentally, right now, while my symptoms are so bad? And to top it all off she told me, “There is absolutely no connection between mental health and thyroid function.” Really!? What about when my depression got really bad in December and January when both times my thyroid was extremely low? Then as soon as my TSH (thyroid stimulating hormone) went back to normal I was FINE mentally! How do you explain that? Coincidence? Probably not. What doctors need to realize is that we, as patients, don’t expect them to know everything. We really don’t. However, we do expect them to listen and treat us like intelligent, rational people. Maybe some of us are square and don’t fit into the round holes most doctors see everyday; but that doesn’t mean our symptoms aren’t real. I also believe that this Dr may not have had any other ideas as to why my thyroid levels are fluctuating and I have all these other symptoms. She may not have an answer…honestly that’s ok.
What is not ok is her treating me like dirt. It is not ok for her to completely write me off (before she has even met and talked to me!) just because I struggle with mental illness and my symptoms and labs are not textbook. I am not just “a mentally ill” person. I am not my illness. I have a mental illness, yes. But I am so much more than it. I will not stand to let my mental illness be all that other people, including health care professionals, see. 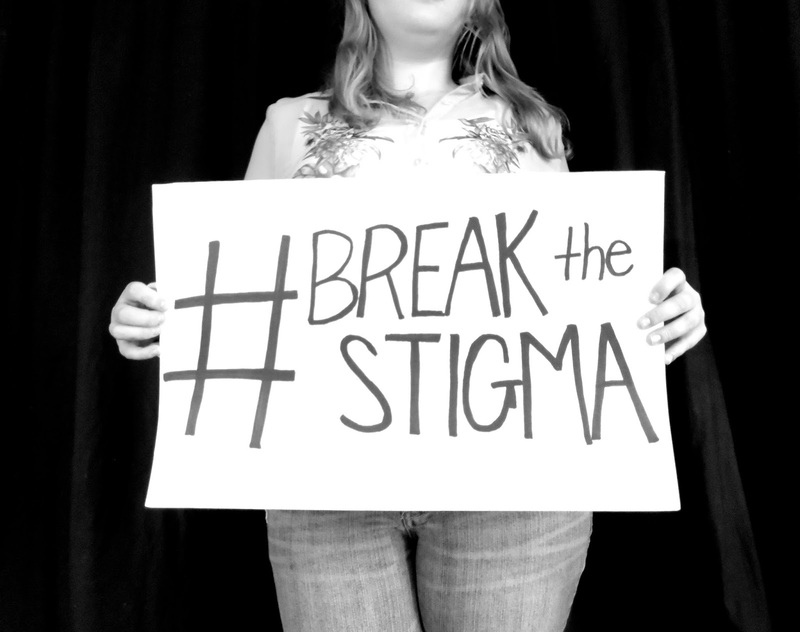 This stigma is NOT OK! So, how are we going to change it? Mental illness is not something to be scared of. It can be scary to go through, certainly, but it is only a chemical imbalance in a persons brain. Make sure you tell them (this is important!) that it is not a personality flaw or character trait!! It is not fake, exaggerated, or dramatic. Tell them that, any type of mental illness can be serious, debilitating, and in some cases the person may even put themselves in dangerous situations (again, remember that this is not for attention-it is a sign that a person is ill and needs some form of treatment). Tell them that mental health problems are VERY common. Try to find a story of someone who has struggled with mental health and have recovered or are recovering. It can be mine, another friends’, a family members’, or anyone’s really. Just share a story of hope. If you have struggled with anything mental health related I strongly encourage you to share your story with people! ~If you have been open about your struggle, than I am so proud of you! I know just how difficult that can be; the uncertainty of people’s reactions can be utterly terrifying! Please keep sharing your story-make sure to keep it as hopeful as possible!! ~If you haven’t told many people about what you have/are going through, I encourage you to tell at least 2 people-anyone! Start with me if you have to. You will be surprised at how many people will be supportive, how many people will be encouraging, and how many people have their own untold stories that you would never know about otherwise. ~If you are struggling silently, please, please, please, talk to someone! It’s extremely scary to open up to someone about something so personal, especially to a stranger, but it’s so freeing. Through talking to someone you will learn ways to deal with or manage your symptoms, and that is a wonderful feeling. It will do the world so much good if we all could talk freely about mental health, without talking in hushed tones. 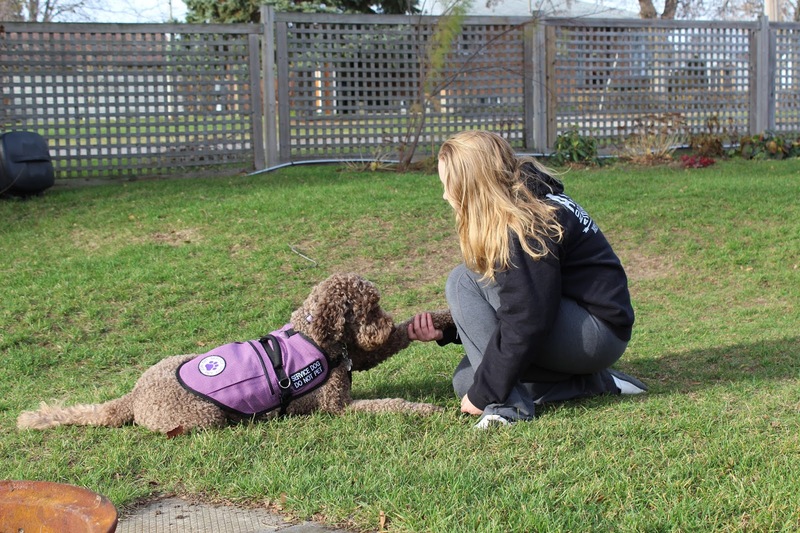 It is crucial that those on the front lines, who may be working with people who have a mental illness, receive the education and support needed to help manage bias. Programs need to be developed to teach health care professionals to identify and manage their biases toward mental illness and the people who have the mental illness, so that it doesn’t interfere with clinical care. Training more people across the medical field in mental health issues creates the possibility of incorporating mental health screening in primary care settings, promoting early treatment and emphasising the physical component to a mental illness. There also needs to be education about the physical-psychological connection of mental health conditions and physical illnesses. People most definitely should not be discriminated against because of their mental health conditions whether past or present. And certainly not by so called “health care professionals.” It’s just not ok. This isn’t the first time I have been discriminated against and I don’t think it will be the last time but this time, I’m not letting it just slip by. We need change and to get there I need your help! Please do your part to help raise awareness! Time to #GetLoud! 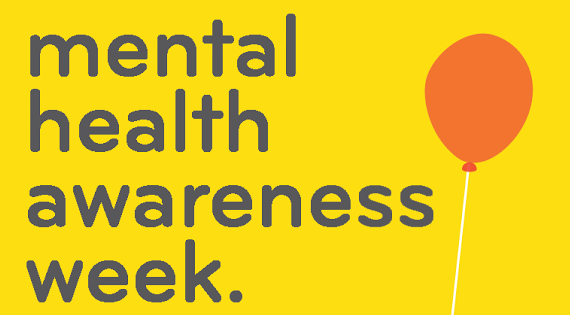 **THIS IS MENTAL HEALTH AWARENESS WEEK!! 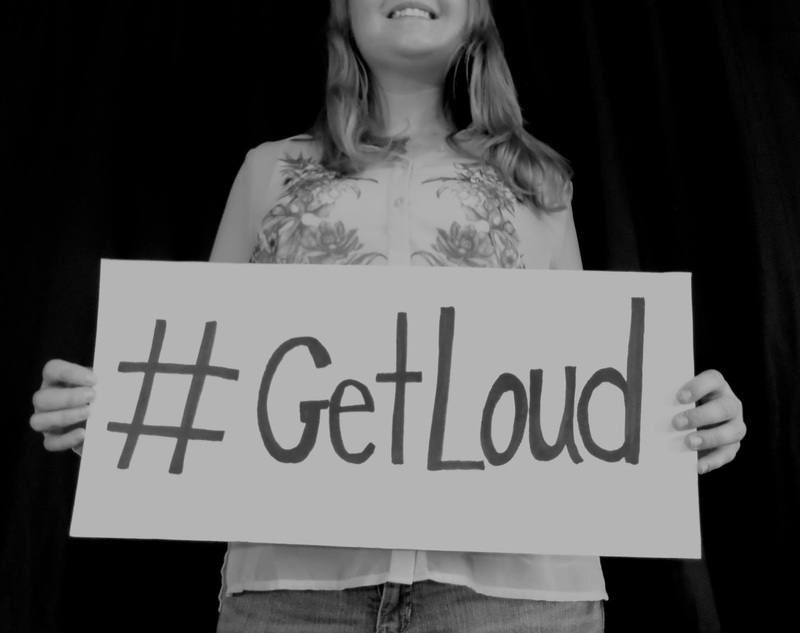 (May 2-8th)** So even more reason to #GetLoud! This struggle will never end. My finances are in shambles. This relationship can never be repaired. My kids are a wreck. Yes, we’ve all been in a place at one time or another when we would definitely say something or someone in our life is in ruins. I think there is something here we need to recognize in how we should respond when faced with devastating news that crushes us to the core. He acknowledged his hurt and pain. Even went without food for a while! But he did all this…before God. When we are smack in the middle of an impossible situation, we bring our hurts before God. We pour out our hearts to him. We don’t have to hold it all together for fear of what might come out of our mouth. I love Nehemiah’s transparency before the God of heaven! He doesn’t hold anything back. He empties himself completely before God. First of all, who are the them he is referring to? He is speaking to his people–fellow Israelites who were exiled with him years before. God’s people! When we’re faced with devastation, we don’t go running for comfort and support to people who aren’t believers in Christ. We rally around those who are on the same journey of faith. And then Nehemiah takes a step of courage. He doesn’t stay stuck in his despair. He begins the process of rebuilding. To stay stuck in misery and hopelessness would be disgraceful. He doesn’t want to stay there! And he realizes he can’t do it alone. Dear friend, if you are stuck in despair and staring at broken pieces of your life: pour out your heart to God. He knows your pain and hurt. Give it to Him. Just like Nehemiah, look around you. Lean on your brothers and sisters in Christ. Accept the fact that you can’t rebuild in your own strength. It might be a long journey to recover from what you’re going through, but I can promise you God will lead you one step at a time, just as he guided Nehemiah through one brick at a time. He’s a master at taking things in ruins and redeeming them for His glory! These past few months have been a roller coaster. One week I’m feeling fantastic, the next week I’m sliding into a deep pit of depression with a side of psychosis and dissociation, then the next week I’m feeling mentally well but physically unwell, into Strathroy hospital, home, into Strathroy hospital again, then home, into Parkwood hospital, then home. But, when all hope seems lost, I remember that not all is lost to the God of the impossible. He can take us through this place of weariness, weakness, pain, and struggles, and bring us to a new life of peace. We live in a fallen world so (I hate to break it to you but…) not all things are going to work out as we hope they will. We do not know the future or what’s going to happen but we can rest assured and know that even in these terrible struggles, the worst situations, seemingly hopeless circumstances, God will work all things out for our good. That is truth. Your struggle, situation, circumstance, however painful it may be, is the path that God is using to reveal more of himself to you. He knows you are going to need to lean on Him to get through this and that dependence is OK. In fact, that dependence on God is a wonderful, beautiful thing. Your struggles will not – cannot defeat you. They may appear to be taking you down but they are actually helping you to rise above. God will shape and transform your heart through this trial…but only if you allow Him. Why this particular, incredibly painful, trial? Honestly, I don’t know. We may never know this side of heaven. We just have to trust that He knows what He is doing and that His plan is to prosper us, not to harm us, and to give us a hope and a future. We must learn to trust Him even when it hurts. We must stand in faith no matter how big the storm that is overwhelming our life. Some days trusting God seems like the hardest thing to do, other days it’s a breeze, as if it were the only thing to do. The Lord brings the tide in and takes it out. He controls the wind and the rain. The sun rises at His command. 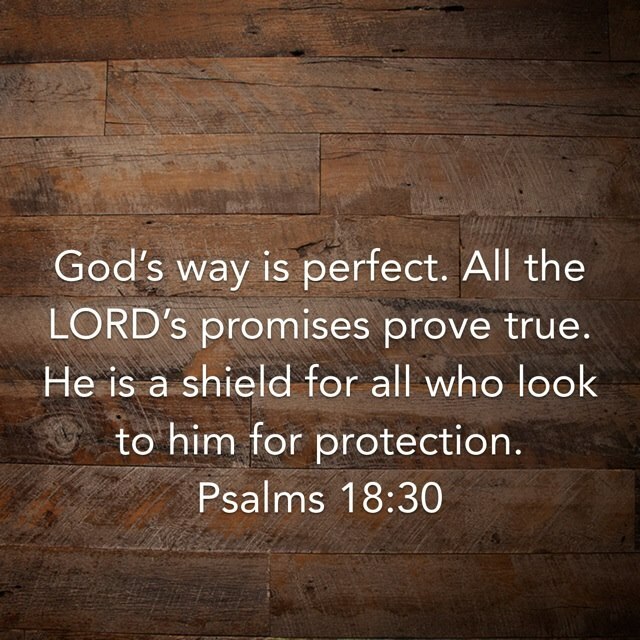 He certainly has perfected His purpose for our lives and will provide for what we need. Don’t let your weariness make you think that God does not care for you when your prayers seem unanswered. His mercy and unending love are with you even now. He knows what you are doing in your life. He sees your tears and holds them in a bottle. He does not forget your name, where you are, or any other little detail about you. He is the God of all possibility and ultimately all things must bow to His will for your life. The days are growing short and evil is abounding. Take joy knowing that even through Satan, the hand of God is in FULL CONTROL. He will never fail you nor will He let anything in this world destroy you. Be strong. Jesus’ promises give us peace no matter what happens here. None of these struggles we are going through – physical illness, mental illness, death of a loved one, stress, overwhelming business of life, social problems – can impede the purpose He has for us or the love He has for us. He knew our stories before the foundation of the earth. Trust that even in this mess, God will be with us. That is the hope that separates believers from the rest of the world. It’s that time of year again when we evaluate everything we have accomplished over the past year. THIS YEAR so much has changed! I spent the first 4 months (of a total of 9 month visit) in the new Parkwood mental health care hospital. During that time I received electro convulsive therapy (ECT-read past blogs for more info on that part of my journey). The ECT helped SO much but it was really only part of the treatment I needed to fully recover. Although my Dr. at that time thought that this was all I needed and I just needed to work out the rest with a psychologist (who I happened to not get along with…for good reasons). So, even though I was still struggling with severe OCD (that seemed no further help could be offered) and major dissociative episodes, my psychiatrist decided to send me home in May. I was home for a total of 3 weeks where I struggled through each and every day and night. After I had been home for a few weeks my primary contact at the hospital suddenly changed (I’m not ok with sudden changes!) and then my psychiatrist announced she was moving to a different hospital and I would be getting a new Dr. I felt shaken. Everything that was supposed to be my constant was shifting and the crazy thoughts in my head began to take over. Not just my mind but physically through dissociations. So then, crisis after crisis occurred and my parents became understandably drained and had no choice but to let the crisis team to admit me to the hospital AGAIN. I spent several consecutive days unable to speak or communicate past nodding/shaking my head for yes or no. When I’m in this state I’m very irrational and tend to do things to hurt or injure myself badly or just run away, usually to somewhere unsafe (like the train tracks). I actually have very little memory of these times. I am very grateful for that but the things I do remember haunt me. Fortunately there are no full memories just little snapshots every once and a while and the memories of trying to get my bearings-calling my beyond-worried-mother when I “snap out” of the dissociation. Once I was admitted I found out I would be put on a different unit than I had been on in my past stays over two years. I was super nervous about this move but it turned out to be the best thing that could have happened! 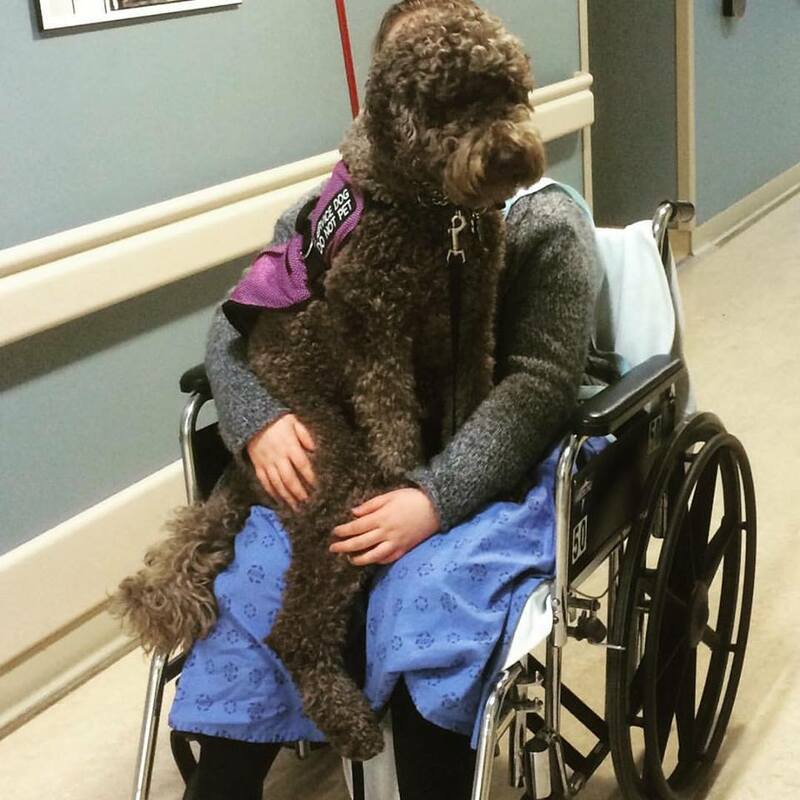 The nurses on this unit seemed to have a different perspective and had less judgement. Along with the new unit came a new psychiatrist! Again a huge, terrifying, change! But it worked out wonderfully!! I was supposed to see my new outpatient Dr (who I hadn’t met yet) just a few days after I was admitted. So this lovely lady came to see me inpatient. She just walked into my room and started talking to me like we knew each other! Apparently she had come the day before and met me but I was in a dissociation and didn’t say a word to her! She probably had no idea how she was going to help a patient who didn’t talk! Eventually my new psychiatrist, Dr. N, recognized my confusion and we did our introductions. I would soon find out what an incredible answer to prayer this Dr. was. It didn’t take me long to grow attached to Dr. N and apparently the feeling was mutual because she wasn’t planning on taking on inpatients but she kept me (as inpatient then later as an outpatient!). As we got to know each other better she recognized how big a problem the OCD was and started me on Memantine: an experimental med for OCD and eventually Valproic Acid to help with the dissociations. This combination worked! Can you believe it!? After too many years of suffering my mind FINALLY had some relief!! And it took a while, but combined with individual “Dialectical Behavioral Therapy” the dissociations came to an end too. Isn’t that a happy ending!?!? Suffering, suffering, suffering…then boom God sends some healing! When you think you can’t go one more step…God steps in and walks a thousand until you have the strength to go on your own again. When you think you can’t handle one more bad day…God sends someone to make you smile or laugh. If you think you’re never going to get better, you think you’re going to die from this terrible illness, you think your situation is completely hopeless…I promise you with everything in me, that God will step in and show you HEALING-but it will be on His time not yours. In the meantime He will be holding your right hand. This time last year (it feels like so much longer than that!) I was in a really, really, terrible place. I did not have any desire to live or fight off my illness. When I reflected on the year that passed I felt like such a failure. I hadn’t done anything to get me closer to my goals. In fact, my goals had turned to dust and all I was doing was passing time. This part of my life was so terrible that I don’t even remember much of it, like I blocked it out of my memory. Now that I’m passed that, I’m doing everything I can not to go back, but I do need to look at this time so I can see and ponder all the wonderful ways God protected me: from cars passing when I dissociated on a street, from trains while I walked the tracks, from my countless suicide attempts, and from small things like infections from my deep cuts from the glass I picked up. It really is a miracle that I’m still here today. Now, near the end of this year, I thank God for the blessing of life. Even though it’s still tough. I’m not yet fully recovered. Far from it, actually. But I’m way farther than I was. Somedays I still have to fight SO incredibly hard. It will be like that for a while still but I believe the worst is past. This is clichéd but: because of these struggles I am stronger, my faith is unshakable, I look for blessings more, and live life fully. I can honestly say, for the first time in quite a while, that I am REALLY looking forward to all that the new year has to bring! I’m excited to have Zoë by my side full time. I’m excited to keep working on my OCD (well…sort of…it’s the hardest thing to ever do but it has results that improve the quality of my life!). I’m excited to keep working on other aspects of my mental health and excited to (hopefully) get some answers for my physical health. I’m excited to be going to church again like normal people (as opposed to leaving the sanctuary or sitting in the balcony). I’m excited for the possibility of online courses in the fall (if things keep improving as they have). I’m also excited for small things, like, the possibility of living an outpatient life, the possibility of making new friends, and hanging out with old friends (doing fun things instead of visiting in a hospital setting). Most of all I’m happy to just be living the life of a happy person. So, thank you God, for an INCREDIBLE end to the year! I owe it all to you! I just want to know the person who created me and blessed me with this new outlook, better. I am fully yours! To all those who haven’t gotten this far in recovery yet…you will get there. It feels impossible and lonely. This journey is hard, I know. The way I feel now is so worth the fight! So I can’t push you enough to keep fighting with all (even if it’s only reaching out your hand!) the strength you can muster. You’re going to make it because I am praying for each and every person who reads this blog. Thank you to each and every one of you who have been following this journey! Thank you to everyone who has encouraged me, kept in contact, hugged me, taken time to make (temporary) changes-until I can overcome more of my OCD, to those who have gone out of their way to help me with my anxiety, or to those who just made me feel normal. I love and appreciate you all! Right now, mentally, I am doing quite well! Praise The Lord! For the most part my OCD has been manageable and the dissociations have been minimal no big “episodes” where I run away, get lost, cut, and loose contact with reality (although at times I have to work really hard to fight them off 👊 I’ve learned coping skills that actually help!). Although things are all well right now I will still have bad days ahead. 🙏 Please pray that I will continue to take life one moment at a time. Pray that I will be able to remember the good days when I’m having bad days and most importantly pray that I have more good days! I’ve been coming off of one of my main medications 💊 [nosinan-my antipsychotic] (due to side effects). The first time I came off of it I was a wreck!! I had a major dissociative episode and then almost 3 weeks of days after days of complete dissociation. So we went back on it and added a new medication that would hopefully replace the old one. I’m SO happy to say that this switch has been quite successful ! I’m almost off the nosinan (i was on 100mg now I’m down to 25mg!). 🙏 Please pray for the remainder of this switch! And that this new “mood stabilizer” continues to be effective. My Dr says that if things continue to be stable and I’m feeling good we are looking at discharge from the hospital in a couple weeks! YAY! And I have a good feeling about this discharge because my team is so great, flexible, and supportive! In these troubled times (and all times) God isn’t just some far off god who created everything who now just sits back and watches us run around like maniacs…NO God is a loving humble God who actually cares for us! He can do anything in the entire universe but He chooses to come care for us and hold us up. How incredible is that? Father, we are in awe of your love and character. We praise you for all you’ve done and all you have yet to do. Help us to love you with a passion even as we’re struggling. A big thank you goes out to all of my prayer warriors out there-I have the most wonderful supporters from all over the world! God has really blessed me with the greatest friends and family, dog, Dr, rec therapist, and team ever!